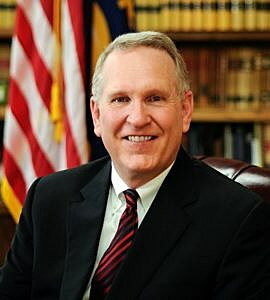 (UM Community News Service) Attorney General Tim Fox is asking the state Legislature to strengthen Montana law to better deal with sexual assault investigations. The state attorney general’s office is still crafting the legislation, but the goal is to put unofficial changes into law, mandating that hospitals send the kits to the state crime lab, allowing victims to keep track of the status of their kit and changing how cases are prosecuted in court. The proposal comes after an investigation uncovered some 1,400 samples taken from Montanans who had reported an assault had never been tested. Some of the kits dated back to 1995. At the time in 2015, the state formed the Sexual Assault Kit Initiative. But the new legislation hopes to formalize the processes introduced after that investigation. According to Fox, the biggest obstacle this new initiative will face will likely be funding. “It’ll give us the necessary data on numbers so the (Legislature) can come back and look at permanently funding the program,” Fox said. Fox said grants from the federal government has paid for much of the backlog testing so far. These funds allowed the state crime lab to purchase a machine that scans kits for male DNA, making the process of testing a kit faster. After a kit is tested and deemed to have foreign DNA, the DNA is added to a database of offenders. The attorney general said the draft bill would also go further, mandating all kits collected in the next four years be sent to the state crime lab. It would also prevent “victim blaming” defenses from being an entire defense in itself. 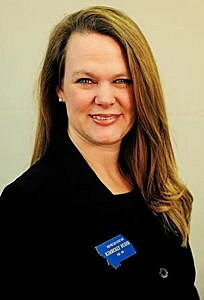 State Rep. Kim Dudik, D-Missoula, a member of SAKI, said she supports the ideas in Fox’s legislation. “I’m very happy that we’re proceeding with one set of rules that will apply to everyone and everywhere so people know what happens when these kits are done and law enforcement isn’t left wondering what to do,” Dudik said. Dudik also supports the online tracking system as an important step to support survivors of assault. “It’ll be an online user-friendly way for a person who has been assaulted to track what happens with their kit, where it’s at in the process so they know and aren’t left in the dark,” she said.